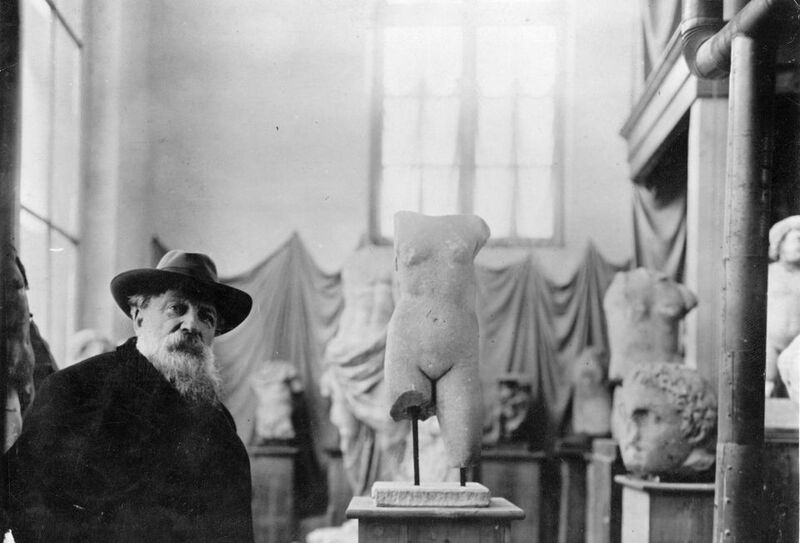 Opened in 1919 in the private Parisian mansion where French sculptor Auguste Rodin assembled his greatest works, the Rodin Museum is consecrated to the complex life and oeuvre of one of France's most revered artists. The permanent collection at the main Paris site includes several masterpieces-- including "The Thinker" and lesser-known works from Rodin himself, his brilliant student Camille Claudel, and others. Meanwhile, temporary exhibits explore lesser-known aspects of the artist's work. The Rodin Museum is also celebrated for its vast, stunning sculpture garden-- one that is invariably a pleasure through which to stroll and dream. There is also a secondary site for the museum in Meudon, outside Paris, which houses plaster and wax studies of many of Rodin's most important works. Major admirers of Rodin should visit the main site in Paris, then consider a trip to the Meudon branch to explore in further detail how Rodin developed his creative vision. The Musee Rodin regularly hosts temporary exhibits that explore specific aspects of Rodin's work, his collaborations and mutual influences with other artists, and other themes. Visit this page for a list of current temporary exhibits at the museum. The permanent collection at the museum includes over 6,000 sculptures (many of which are housed in at the museum's secondary site at Meudon outside Paris) in bronze, marble, plaster, wax, and other materials. The plasters are housed in Meudon, while the finished sculptures in marble and bronze are collected at the main Hotel Biron site in Paris. The sculpture collection at the Hotel Biron site houses some of Rodin's most treasured works, including The Kiss, The Thinker, Fugit Amor, Thought, and a series of sculptures portraying celebrated French writer Honoré de Balzac. There are also fifteen important works from Camille Claudel, Rodin's gifted student and on-again, off-again lover. The collection at the Hotel Biron in Paris also features sketches, paintings and photographs used by Rodin for modelling in the early stages of his work, in addition to an extensive archive. Admission to the lush sculpture garden situated behind the main museum will cost you an additional (nominal) fee-- but on a sunny, warm day, it's well worth the extra cost. Spread over three hectares, the sculpture garden features several monumental works in bronze from Rodin, in addition to several marble busts and statues dating to Roman antiquity. The garden also boasts a wide variety of plants and flowers, promenades lined with linden trees, a restaurant and a cafe. Closed: January 1, May 1 and December 25. Free to all visitors the first Sunday of each month from October through March. Free to visitors under age 18. Free to visitors age 18-25 who are EU residents. Free to a variety of French teachers, students, artists, journalists and art critics. For up-to-date details on tickets and admission discounts to the Musee Rodin, consult this page at the official website. The Paris Museum Pass includes admission to the Rodin Museum (Buy Direct at Rail Europe).